The Walkera Furious 215 is the latest ready-to-fly racing drone quadcopter to release March 2017. The fuselage wheelbase is 215mm, designed around the F3 Flight Controller with rapid response speed, thus providing pilots a first-class flight experience. If you are into racing and freestyle aerobatic flying, this may be for you. Airframe design is modern, is simple, lightweight fuselage but with a rugged crash structure. Pilots can upgrade and replace all key components. With the high-performance brushless motors, we decide to combine it with 5040 clover propellers and a 4S 60c LiPo, to give you that adrenaline rush! The Walkera Furious 215 also made the switched to SONY 1/3" Super HAD II CCD at 600 TVL to optimize the maximum 625 individual scan lines when in transmitted in PAL or 525 lines in NTSC. The whole body will use high resistance carbon fiber materials, the thickness of arms will be 4mm which enable the quadcopter to be stronger and more crash-resistant . The removable arms make maintenance much easier and lowers your cost of maintenance. Another "Mad Max design", the head uses curved carbon fiber to protect the camera and effectively disperse the impact force. Bottom plate provides redundancy for high impact reinforcements. The upper plate is separated from the compact battery mounting plate, which greatly reduces the chance of the upper plate breaking during inverted collision. The Power Distribution Board (PDB) is cut to precision to the shape of the chassis floor. Integrated with On Screen Display (OSD), there is a OSD connector at the bottom of the board to adjust the parameters. ESC supporting oneshot 125/oneshot42, high-performance 2500KV brushless motor combined with 5040 5” propeller and 4S power battery. Onboard active beeper and integrated OSD, provided with OSD tuning connector at its bottom for the purpose of tuning. SONY 1/3" Super HAD II CCD 600TVL performs under the lowlight and backlight surrounding. Equipped with FOV-130°wide-angle lens of focus-2.5mm. High performance video transmission system supports 600mW (at maximum) power switching (FCC version), estimated transmission distance of 1.5 kilometers. 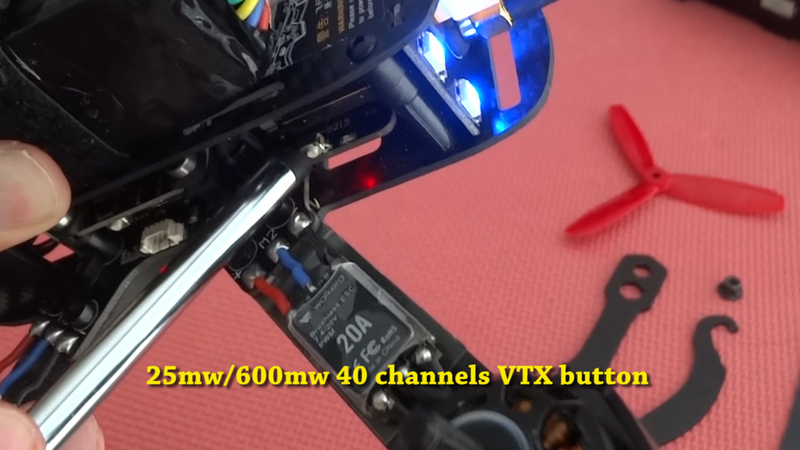 Cleanflight Config 1.24 Airmode option with Walkera firmware. The usual online superstores, like Banggood, Gearbest etc. 2. just provide links to your channel or publication, so as not to crowd it with unrelated videos. The usual, the selection committee looks for folks that can provide constructive feedback in video, good humor and write-ups (like what we all like.. real people, at your neat hometown setting, fun) for this rcgroup thread itself. We already send samples to regular reviewers, but folks who know me and the community work I do, will identify with me that I like to extend this to new/undiscovered talents with a passion in this hobby. Do keep in mind this is a racer, so it is not about aerial filming, a demo race or free style aerobatics is expected. When selected, we will send you a link to place your free order at www.walkera.rocks our USA warehouse online store. Since this drone is new, we will pull samples from production and it will be shipped directly from Walkera factory. Last edited by UAS; Jul 21, 2018 at 12:36 PM. If you hold the button (rear left) down for 30 seconds (yes, a long 30 seconds), the LED to the right of the button will turn to solid red; it switches to 600 mw, double short press to toggle the bands. Dip switches for the corresponding channels are listed here. Last edited by UAS; Apr 21, 2017 at 05:28 PM. Last edited by UAS; Jun 11, 2017 at 08:10 PM. i wouldnt mind getting chased by your air plane again to review the F215? i have no review or unboxing experience, but would like a chance to do one. i mainly fly freestyle, and have multiple builds to compare to. Last edited by inap; Feb 15, 2017 at 12:13 PM. I would like to test this one, if possible. My main strength, I feel, lies in write up, video showing pure flight performance, and I try to do a thourough analysis of the product. I've already made my desire to test one of these known, so no more on that! Massdrop already has these on pre-sale! This is the video I did for the Rodeo, Hope you enjoy it! Last edited by Mitchie; Feb 16, 2017 at 12:55 PM. I would like the opportunity to test the 215! I already own the rodeo 110 and have done a few videos on it. I just purchased the runner 250 fpv kit from gear best yesterday. It shipped out today so I plan on doing an unboxing and review sometime next week on that one. Last edited by Lightning uav; Feb 17, 2017 at 04:41 PM. Last edited by Lightning uav; Feb 17, 2017 at 04:43 PM. 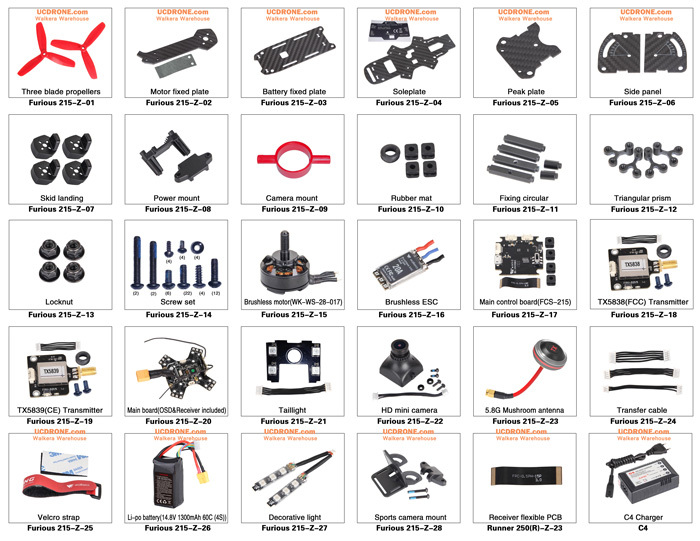 I'd like an opportunity to start reviewing FPV racing gear! I've loved Walkera stuff since I got my Devo7e, and this would be an awesome first review. I know other people in this thread might have better chances of being selected as they already have review experience (Great rodeo 110 review and tips Merch! ), but hey, it doesn't hurt to try! Thanks............I must admit after i baught the Walkera rodeo 150 i became a fan of there micro quads all i can say is whoever gets the opportunity to review the F215 i will be very happy for them and look forward to there review,best of luck everyone. I would definitely like to do a review of the Walkera. I have done reviews of walkera products before and a large portion of my subscribes are walkera fans. I was the first to do a review on the new Rodeo 110 and also the first to do a review of the rodeo 150. I have also covered the f210. I would love to add this to the channel. Thanks for consideration .